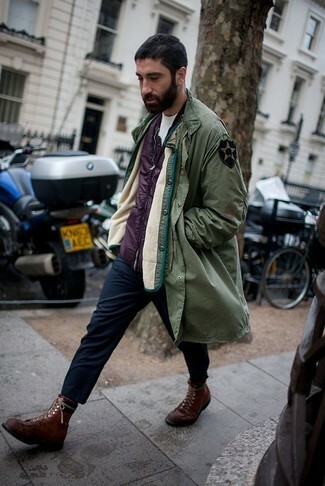 If you're searching for a casual yet dapper ensemble, choose an olive military jacket and navy jeans. Both items are totally comfortable and will look great paired together. Amp up the cool of your ensemble by wearing WALK LONDON darcy lace up boots in brown wax leather. This pairing of a camel overcoat and charcoal jeans is very easy to put together in no time flat, helping you look amazing and ready for anything without spending a ton of time combing through your collection. When it comes to shoes, this getup is complemented wonderfully with WALK LONDON darcy lace up boots in brown wax leather. 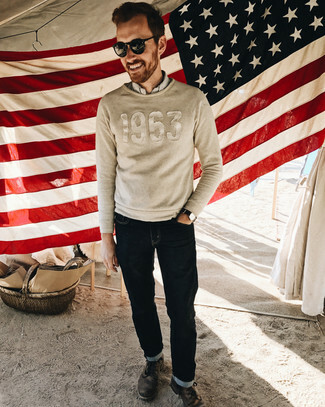 If you're looking for a casual yet stylish ensemble, go for a beige embroidered crew-neck sweater and navy jeans. Both pieces are totally comfortable and will look great paired together. To add elegance to your outfit, complement with WALK LONDON darcy lace up boots in brown wax leather. 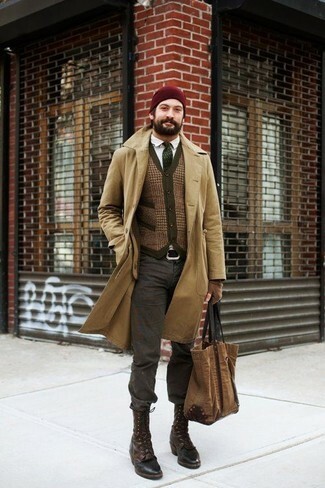 This getup suggests it pays to invest in such items as a navy pea coat and charcoal jeans. 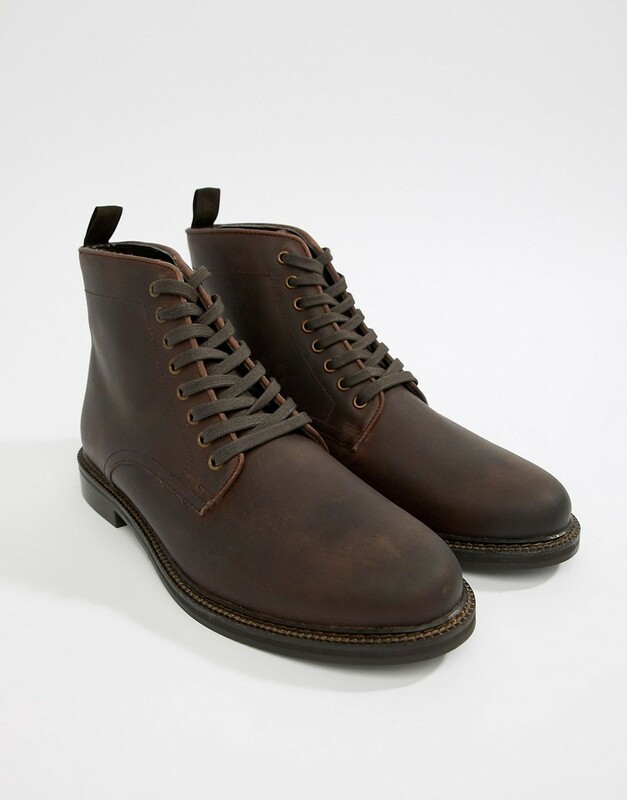 For shoes, opt for a pair of WALK LONDON darcy lace up boots in brown wax leather from Asos. 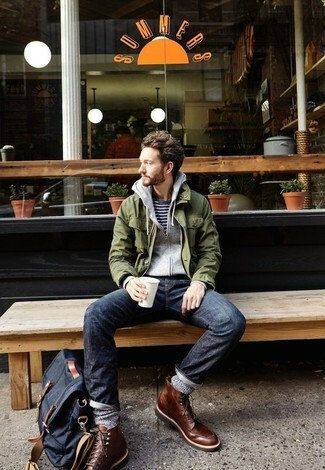 If you're on the hunt for a casual yet sharp getup, consider teaming an olive parka with navy chinos. Both pieces are totally comfortable and will look great together. Wearing a pair of WALK LONDON darcy lace up boots in brown wax leather from Asos is an easy way to add some flair to your look. If you're on a mission for a casual yet stylish outfit, opt for a dark brown leather bomber jacket and navy skinny jeans. Both items are totally comfortable and will look great paired together. A pair of WALK LONDON darcy lace up boots in brown wax leather adds some real flair to this ensemble. 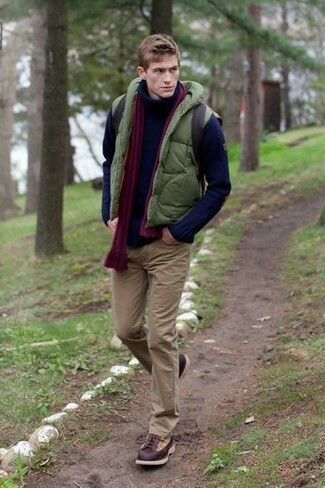 If you're on the hunt for a casual yet dapper getup, try teaming an olive quilted gilet with brown chinos. Both pieces are totally comfortable and will look great together. Kick up the cool of your ensemble by complementing it with WALK LONDON darcy lace up boots in brown wax leather. 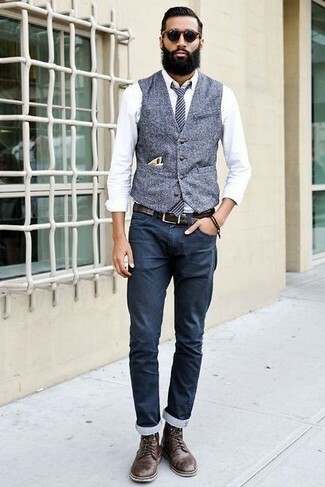 Dress in a grey wool waistcoat and navy chinos for a sharp, fashionable look. Dark brown leather casual boots will deliver a casual vibe to your look. 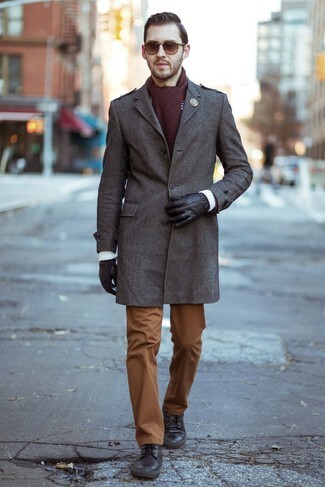 For a smart casual outfit, rock a brown overcoat with tobacco chinos — these items a work setting really well together. When it comes to footwear, this getup pairs wonderfully with WALK LONDON darcy lace up boots in brown wax leather.